We service an array of industries including the oil and natural gas industry! Choice Fasteners is a quality manufacturer and distributor of a variety of fasteners. Family owned since 2005, and with over 100 years combined experience in the industry, we stand ready to meet the needs of our clients both large and small. 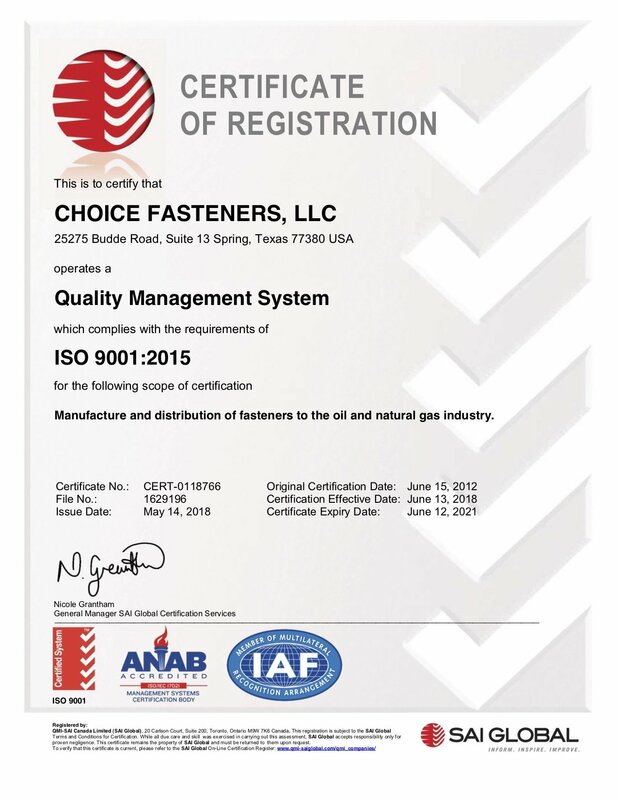 To be the best Independent Fastener Company in Texas and to do an outstanding job for our customers. Listening to our customers and getting the results they expect. Having integrity by doing the right thing in all we do.